When it comes to money matters, the list of helpful tips, tools, and advice can be long, but this page is created to provide you with a brief overview and some resources. This page will grow, so please subscribe to it to stay up-to-date on new posts and information. Managing money really comes down to three basic things: How you Make, save, and spend your money. Unfortunately, even if you’re working overtime, there never seems to be enough money to go around. Bills are higher, taxes are crazy, and houses are bigger and more expensive to buy, rent, and maintain. The cost of living just keeps going up, so what is the average Jane or Joe supposed to do? Saving money sounds like a drag, but it’s really exciting! Why? Because your future self will get to do all kinds of cool things with this money, and you get to decide what those things are, whether they’re big or small financial goals. You can start on your emergency fund, new couch, or save up for that family vacation. If your dreams are bigger, like saving up for a house, RV, college, or saving money to fund some new investments, then there’s really nothing to stop you from from starting right now. Saving takes planning, but it’s quite easy, and you can start small. 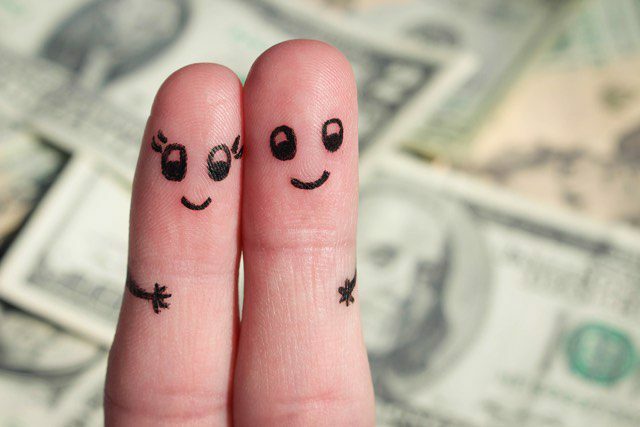 Is your relationship an obstacle to saving money? Money is made to be spent, to some degree. That’s why we’re out there doing what we do. We need to pay for our homes, cars, and the way in which we live. It’s not a bad thing, it’s just how things work in our society. Managing money takes practice, discipline, and planning, but mostly it requires the motivation to do what needs to be done. If you have that, the rest is easy. We’re always here to help, so please post in the comments for feedback, suggestions and ideas, or to share the things that work for you.